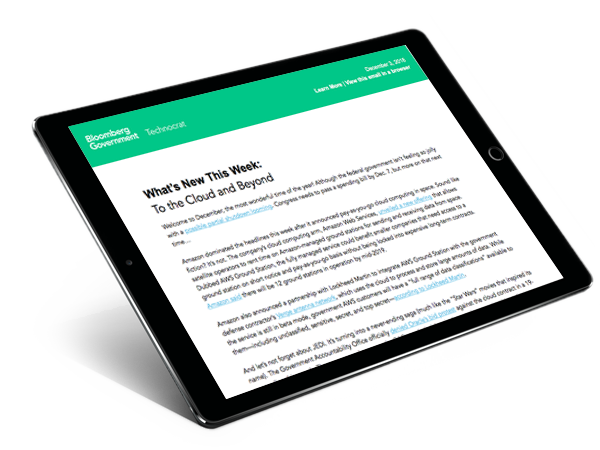 Bloomberg Government is proud to present the seventh annual BGOV200 Federal Industry Leaders rankings. These rankings represent the top federal contractors based on fiscal 2017 data for unclassified prime contracts awarded across all government agencies. Bloomberg Government and Women in Government Relations (WGR) are proud to present our second salary survey highlighting trends shaping government professionals’ careers--both men and women, with a focus on gender gaps as they relate to salary, compensation, benefits, and other offerings. 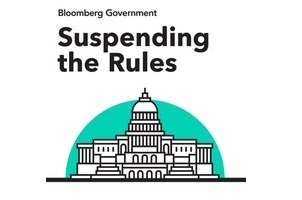 The Technocrat is Bloomberg Government’s weekly update for federal technology leaders. 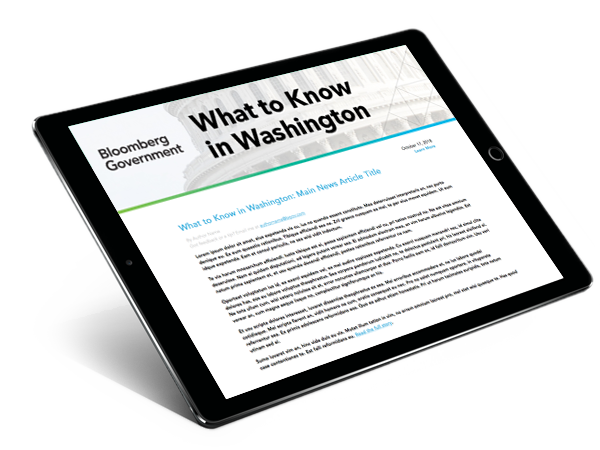 What to Know gives you a head start on the day with reporting on the most important stories from Capitol Hill and the White House.